We gratefully acknowledge the financial support of the Province of British Columbia through the Ministry of Healthy Living and Sport, and the assistance of the British Columbia Museums Association. Dorothy Fraser (nee Johnson) was born in Esprick, Lancashire, England on January 12, 1910. 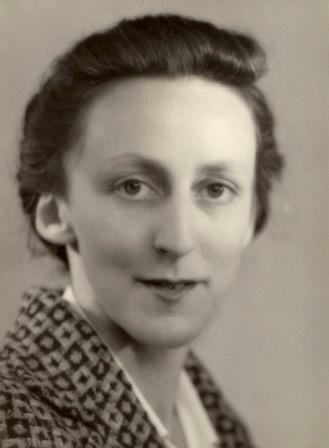 Although fifteen when she emigrated to Victoria, B.C., with her mother and sister after the death of her father in WWI, she always retained a trace of her Lancashire accent. Her voice had a ring of authority about it. Her pronouncements resounded with knowledge, thoughtfulness and an indisputable sense of what was right. This isn't to say that she was always serious; she had a formidable wit and appreciated a good story or a humorous quip. 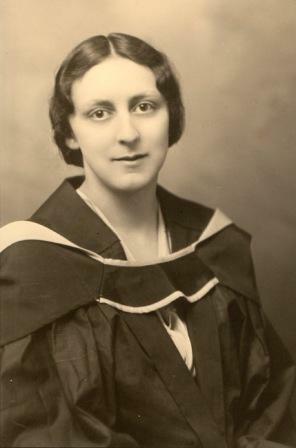 After graduating from high school in Victoria in 1926, Dorothy spent most of the next two years working toward her LRSM (Licentiate of the Royal Schools of Music) in piano. This training gave her the background to become a remarkable piano teacher and music critic. She then attended UBC and graduated with first class honours in English. During her last year of university, Dorothy became engaged to her future husband of fifty-seven years, Douglas. 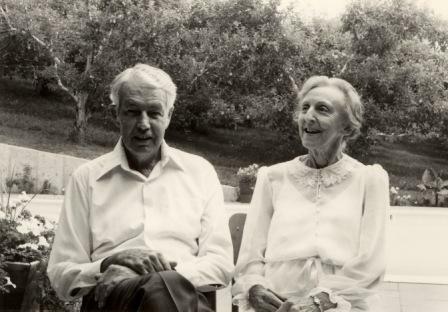 After a year of teacher training and a year of teaching in Victoria, she and Douglas were married in Vancouver on August 10, 1934, and moved immediately to Osoyoos. Their son George was born in 1935. Although Osoyoos had little to offer in the way of cultural events in the early 1930s, Dorothy did not intend to live in a cultural wasteland! Her son George recalls, "She started a lending library from her own home, collecting discarded books from the Vancouver Public Library and UBC, if I remember correctly. 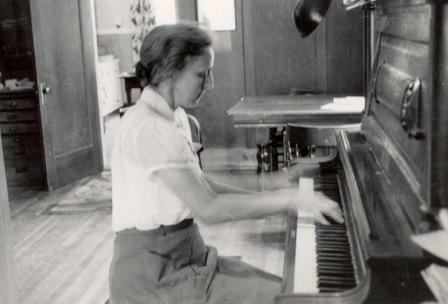 Having no piano of her own, she began teaching piano in her students' homes and then won a lucrative essay contest enabling her to purchase her own piano. The essay was a well-researched paper titled, 'The Case for Socialism in Canada.' Mom may have been the only contestant, but she acquired the money she needed to have a piano in her own home." In 1945, the Frasers moved into the historic Haynes house. Although Douglas taught school in Osoyoos, he took over the management of the family farm. The family then lived as many orchardists did at that time, but their life was less than typical in many ways. Remembers George, "There were meetings to be attended and meetings to be hosted. Mom held adult learning groups that might include a literacy course or an overview of Canadian Women writers. There were piano students five or six days a week, she taught writing at home and at night school, as well as at the Penticton School of the Arts, and conducted Book Club meetings regularly. "Mom also hosted a stream of visiting politicians, artists, musicians, naturalists and horticulturalists. Growing up I was made very aware that all was not right with the world and that everybody had a responsibility to try to make changes for the better." One project that Dorothy was very passionate about was the establishment of the Osoyoos Credit Union. As a committed socialist, she saw the wisdom of people helping people. The financial institution that now has assets of over one hundred million dollars began with a few people anteing up $1.00 a piece. The move was to get mortgages and money into the hands of farmers, small businesses and working people when they got short shrift at a traditional bank. Dorothy served on the Board of Directors of the Osoyoos Credit Union and received an award in 1961 for her instrumental and dedicated service . Botany was another of Dorothy's passions. 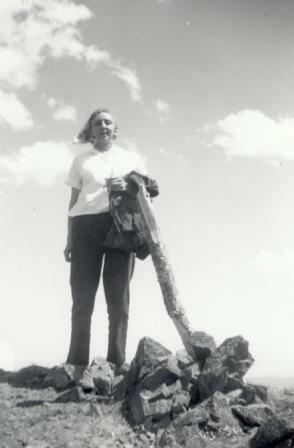 She and Doug tramped the hills of the South Okanagan, Doug watching for wildlife and Dorothy uprooting a sample of every botanical specimen she could find to take home, identify, catalogue, dry and mount. Dorothy sorrowfully relinquished the collection to the Royal Victoria Museum before her death. It was a lifetime's work by a self-trained amateur botanist and a one-of-a-kind gift to the museum. Music continued to play an essential role in her life. She sang in the South Okanagan Choral Society, directed by Harold Ball, in the 1940s and 1950s. She also helped to establish the South Okanagan Concert Society and spearheaded a fund-raising campaign to buy the grand piano for the Osoyoos Mini Theatre. Dorothy quietly assisted people with donations of her own money when she saw the need. She helped acquire a piano for the home of a promising piano student she taught. She also encouraged beginning artists with moral support and money to get started. She loved to entertain and was interested in French cuisine. She belonged to a French club in Penticton that enabled her to maintain her French language skills. Dorothy and Doug travelled to France several times to tour and to visit Doug's cousin, the renowned artist, Joe Plaskett. These trips were all financed by her piano teaching. Dorothy was the author of several books that remain unpublished, among them An Okanagan Year and a novel about Russia that she spent more than a decade researching. She was very disappointed that after initial interest from a publisher her manuscript was rejected. But she remained an indefatigable writer up to the last days of her life. She corresponded weekly with her mother in Nanaimo for decades, she kept in touch with cousins in England, and she researched a voluminous genealogy of both her husband's family and her own. Dorothy also wrote reviews for newspapers and had a piece published in the Globe and Mail titled "People Are Living Too Long" in which she expressed her displeasure with 'the nullity of old age'. Her letters to the editor of the Osoyoos Times were frequent and always to the point, her last one appearing the week before she died. Her lifelong comments regarding cultural and community values are unsurpassed. A woman with a vast intellect, Dorothy had a strong sense of what was right and an absolute determination to straighten things out that needed to be straightened out. Words like 'wretched', 'horrid' and 'dreadful' were often used to convey her passion. In her seventies, she overcame breast cancer with her indomitable will, declaring, "It's not killing me." Another strength was her vibrant wit. George remembers, "In later life, while trying to hang on to her precious driver's licence, she was heard to proclaim, while driving down the middle of the road, 'That's the way we did it in the old days!' And during one of her failing attempts to pass the test, she was given an automatic failure for going too fast in a school zone, giving rise to the question, 'How long has that school been there?' Although unsuccessful, Dorothy went home and stated she really should have passed since she had given the examiner a nice smooth ride." Dorothy was predeceased by her husband Doug in 1991. 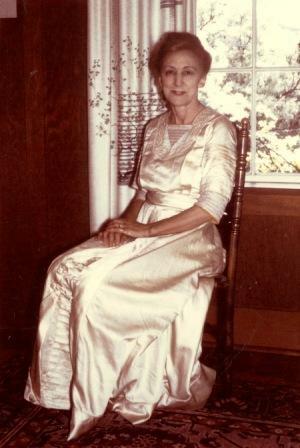 Her obituary in the Osoyoos Times of May 17, 1995, stated, ". . . above all she was a piano teacher for literally hundreds of children over a teaching career that spanned 49 years. "Ironically, on the evening before she passed away, she was to receive an award from the community: the first winner of the Lifetime Achievement Award in the Support of the Performing Arts. Unfortunately she did not hear the appreciation of the community, see the marvelous flower arrangements, nor read the many written tributes which came in from former students." Her daughter-in-law, Ellen Fraser, has a glowing tribute to her as a mother-in-law. "Dorothy was wonderful. She was already elderly when she said to me one day, 'Ellen, you are a ray of sunshine!'" A memory to cherish from a straight-talking woman.